In a move that has taken everyone by surprise, former Real Madrid coach, Zinedine Zidane, was re-appointed by the club as their new manager. It has been less than a year since the Frenchman resigned from the club. While Zidane will definitely bring along loads of the much-needed positivity to the club, could it actually be a bad move to bring in Zidane at this point of time? Let us find out. Real Madrid endured one of the most difficult weeks in their history by crashing out of the UEFA Champions League. Their loss to Ajax was not expected but it certainly was demoralizing for the players. Most of the fans called for action and the Real Madrid president, Florentina Perez, was at the center of criticism. Perez took a bold decision to convince Zidane back to the club and thus, put the responsibility on Zidane's shoulders to carry the club to the end of this season. 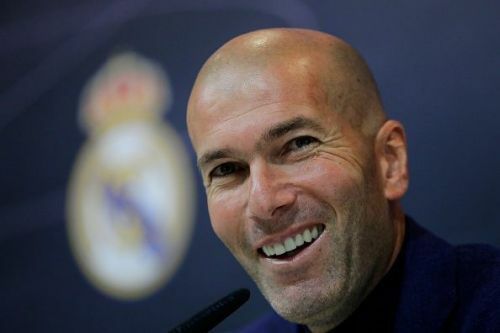 However, this move to appoint Zidane with just a few months left in the season looks more like a move through which the club wanted to make a huge statement rather than a strategic appointment. Since the players are in a bad run of form, it would not be a surprise if Real Madrid's crisis continues despite the arrival of their former manager. Zidane had won three consecutive Champions League trophies with the club. Fans naturally have a high expectation of him, but if he were to be unable to control the situation, this would add a lot of unnecessary pressure on him. The 46-year-old's exit was a surprise at the end of last season. There were a lot of concerns regarding Zidane's relationship with the players and the president. Asking Zidane to take over the club in this crisis would mean that Zidane will now have to get better control over the scheme of things at the club. This immense power held by him may scare a few star-players away from the club. In fact, a few transfers could also be affected by Zidane's higher position at the club right now. Having been in La Liga for almost three seasons, Zidane's tactics may not be new to the opponents and this could deny Real Madrid the unpredictability factor. This can have implications on the club during the course of the season. Hence, appointing Zidane as the manager right now could actually be a bad move by the club. Real Madrid under Zidane: Real Madrid Potential Lineup under Zinedine Zidane Next Season!